On January 6 & 7th of 2019, ‘annoying’ sounds coming from the sky of Pennsylvania were recorded from Greensburg to Pittsburg area from around 9 am through 3 pm. No source has been confirmed for loud, explosion-type noises reported in Brookfield. While some people still suspect the boom sounds are connected to local injection wells, the Ohio Department of Natural Resources says it has found nothing to support that. 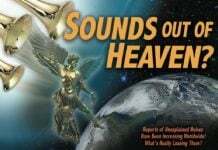 What is behind the strange sounds from the sky? I’ve heard that kind of noise many times. That was on and off subtle noise we could not explain. Many times, the noise was so small that we have make effort to listen. Those noise make us wonder something is going on or something will happen soon. The trumpet kind of noise coming from sky is from Galactic Federation of Light (GFL) ships. 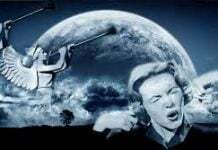 Andromedan contactee, Alex Collier was told by Andromedan that GFL will follow the scenario of the Book of Revelation in the Bible because so many people are familiar to the story. 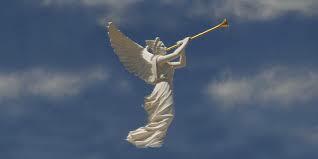 In the Book of Revelation, just before the End Time, people hear the noise of trumpet from the sky. GFL is letting people know End Time is coming. Today, the whole Earth is ringing like a bell again. It looks like the magma of the Earth is very much activated. Look at the seismogram at Mt Rainier. Mt Rainier has obvious magma intrusion. In the last couple of month, the depth of epicenter of each tremor is getting shallower and shallower. That indicates the magma is getting up toward of the brim of the crater. They do not want to show you today’s seismogram because it is so bad! Their screen said “Image Not Found”. This is the seismogram just under Microsoft headquarter in Redmond Washington yesterday. It looks like the magma is intruding the Microsoft Headquarter Campus. Because of the government shutdown, the chefs are absent in White House. The guests invited to White House were offered hamburgers from first food restaurants such as McDonald’s and Wendy’s. I mean Fast Food restaurants, not “First Food”. Something big might happen in California soon. reason of noises is MAGNETIC REVERSAL also increasing and speeding up. coincidence ?? The shofar Horn trumpeted by one of the Ark angel , alarming the SOON COMING of the Messaaya, Jesus YHAUSHUA, as foretold for centuries !!!!!!! It makes me think of the scripture…Romans 8:19-23…the earth is groaning…labor pains are intensifying…won’t be long before things really get crazy in the time of tribulation. Repent. The end is here. Jan 16, 2019, Cushman, AR. Very loud boom, shook the house. Thank you! Any frackquakes or earthquake? Heard these trumpet like noises bout eleven at night 2011 Martin Luther king day. Shook my living room and pictures on wall. Could not tell were it was coming from. But when my wife and I heard it we both felt a sense of something bad is on the way. Gave me goosebumps. I live in southern INdiana and wonder if we will hear it again Martin Luther king day 2019.??? Loud noises at 7:30 tonight in dover arkansas. Sounded like roaring. Continued off and on for 45min. Absolutely my son and even the dog and I heard the same ringing sound as if it were coming from somewhere in the sky – not on the ground in NW Pa a couple days ago. Last night I heard what sounded like trumpets. Not sure of the time exactly, it woke me up and I think it was between 2-4 am. It was like a low and high pitch blast of a truck horn. But much bigger than an actual truck horn. 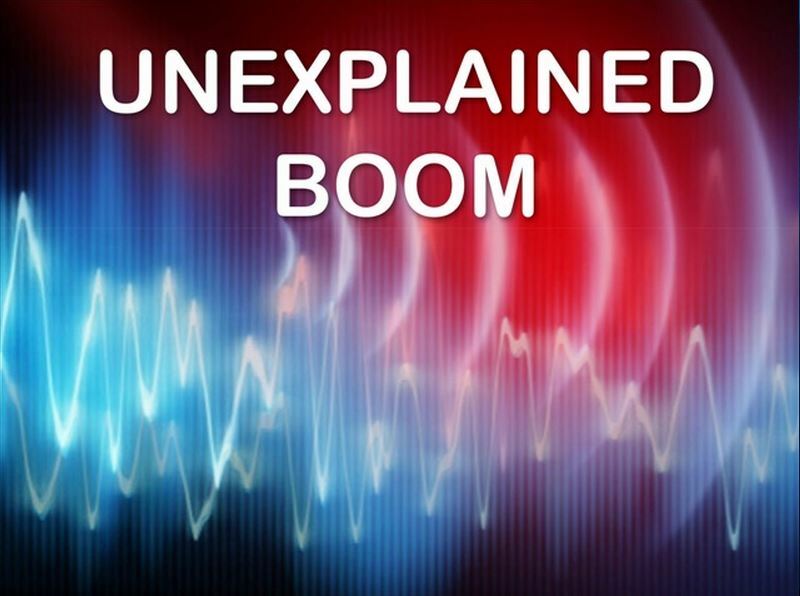 I am in Little Rock Arkansas, and the booms have been going on for the past several weeks now. 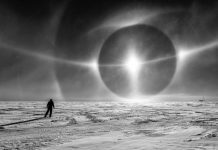 It sounds like they are coming from a southwesterly direction, and occur at all times of day and night. I have confirmed through our highway dept., that no blasting is happening on any projects in the state. The local news did a story on it in January. It sounds like a distant explosion, a very heavy truck door slamming shut, or something very large and heavy being dropped to the ground from above. It makes the dogs alert, and sometimes I can feel a “shockwave” with the sound. The booms are happening here in Killen, Alabama. One was tonight at 11:50pm. The whole neighborhood heard it.. I’ve heard them so loud it shakes my whole house and rattles the windows. I’m in Topeka, Kansas. I live fairly close to Forbes Air Force base, and we’ve been hearing loud booms all over the city. At first we thought they were sonic booms, but they’re at night and we’ve only witnessed the big planes flying at night, never the jets that would be capable of causing a sonic boom. This has been going on for about a month and a half now. Any army trainings at the base?